Bandra’s famous Jai Jawan continues to amaze us even after all these years and we suggest checking it out for their delicious food. A hole-in-the-wall stall between all the shoe stalls at Linking Road is Jai Jawan, a sardar-run food stall! There’s no seating and always a long queue, Jai Jawan is a favourite of many locals. Order their delicious food for takeaways and you’re in for a fabulous time. 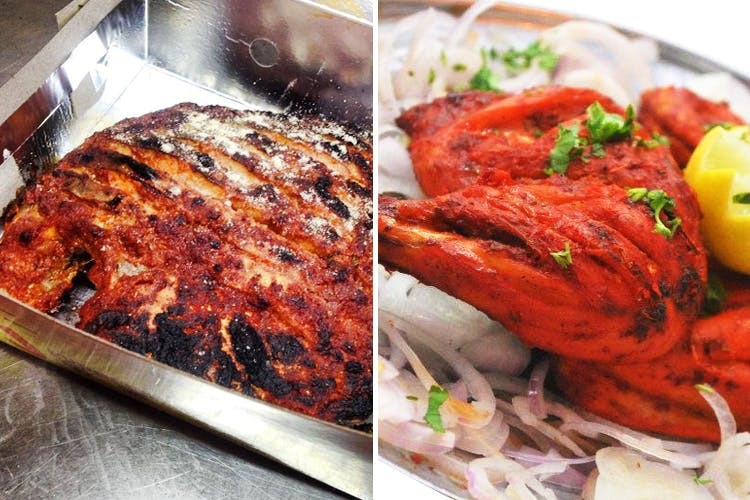 We highly recommend the tandoori chicken, Punjabi prawns masala, Punjabi prawn fry and the fish fry – all of which are tasty and pocket-friendly. Jai Jawan’s food is for all times- whether you’re hungry or are just looking for the perfect food for a house party.